1. Describe your book in 5 words? 2. Without spoilers, were there any scenes you had to cut that you wished you could have kept? There was a quiet sort of scene between Devon and Ezra in the back half of the book that I really liked-- one in which some things about Ezra were revealed. Most of the content of this scene got threaded in elsewhere, and I think the storytelling is much stronger for it… but it hurt a bit to let go of that one at the time! 3. Do you have any future writing projects in the works? I do! I’m working on another YA right now that I’m very excited about! If you live in the South Florida area, I hope to see you at Books and Books next Monday night at 7 p.m. If you don't live here and still want in, you can totally watch the livestream! 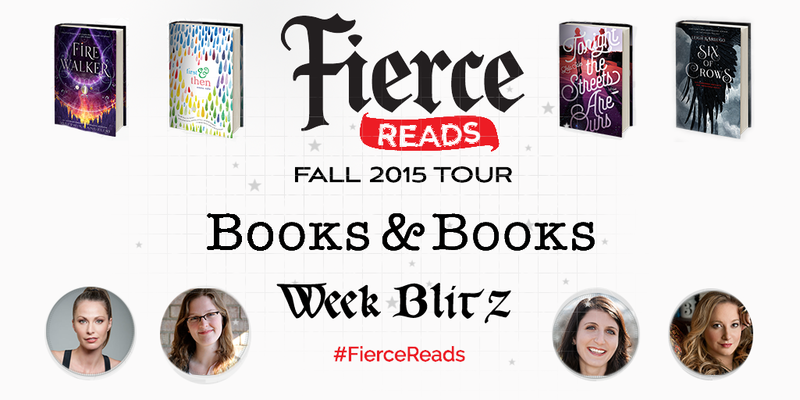 Here's the link for that: http://livestream.com/uainmedia/fierce-reads. 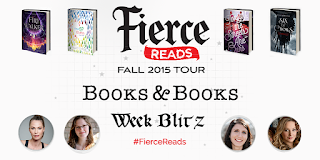 Also, you can call Books and Books to order a signed, personalized copy of any the Fierce Reads books before the event! Call for more info: 305 - 444- 9043 ext 7.